Salon Suites of HEB allows you the freedom of working on your own terms while still being part of a professional community. You can be your own boss, set your own hours, and make more money! Salon Suites of HEB is changing the Salon Industry. Salon Suites of HEB is poised to be the premier provider of Salon Suite concepts in Denton County. With a history at this location for over twenty years, We are moving Suites of Euless to a new level of style and marketing. We have a first-hand understanding of owning and operating small businesses and we know what it takes to be successful in this market. We will help you grow your business with a family hands-on approach to helping you be successful? Salon Suites of HEB is the fastest growing "Salon Suite' concept in the US. The Salon Suites of HEB difference is in truly understanding the Salon Professional and what they go through on a daily basis. We work with you and help you market and establish clientele to have a successful business within our four walls. We feel we are a team with a common goal. We have a deep love and passion for the "Salon Industry" and truly care for every Salon Professional that is part of the Salon Suites of HEB family is what we are about. Because "We Get It", Salon Suites of HEB can help you be successful. 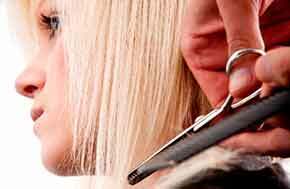 Salon Suites of HEB offers luxury spacious salon suites for the independent salon professional and others. Our suites offer salon and business professionals the opportunity to own and operate their own salon type of business without the hassle and expense of facility management and maintenance. Salon Suites of HEB "Boutique" business model provides smaller intimate Salon Suite Properties with spacious Salon Suites. If you are tired of the large scale commercialized salon suites, the cozy family concept of Salon Suites of HEB is your new home. At Salon Suites of HEB we provide the framework and structure to help you launch your business while you concentrate on growing your client base, network, skills, and income all in an upscale, professional setting. We have several different sizes of suites to choose from to suit an individual needs.